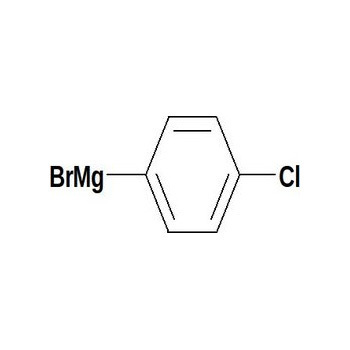 We specialize in providing premium grade of isopropyl 4-chlorophenyl magnesium bromide 1. 0 m solution in diethylether. This solution is processed under hygienic conditions and with the usage of optimum ingredients. We ensure that this solution is cautiously packaged with the use of finest quality packaging material. Azeocryst Organics was a Proprietory firm started By Mrs Bharati Bhirud in the year 1992 in order to cater to small volume requirement of a multinational company. The initial product was Anhydrous Hydrochloric acid solution .The company was transformed in Private Limited company in the year 1997 under the able Chairmanship of Late Shri Shridhar Dattatraya Bhirud. Mr Shridhar Bhirud, prior to this responsibilities, spent his whole life serving for Government of Maharashtra and Retired as Comissioner of Food & Administration of Maharashtra. The valuable guidance, support and immense contacts were key factors in successful start and spread of the business. Mr Nandakishor Bhirud took over the business after demise of Mr Shridhar Bhirud on 11th December 2002. The Organization enjoys harmonious relationship between management and employees. The Factory is situated in the chemical zone. The organization is a member of Common Effluent Treatment Plant & Solid Waste Disposal Plant'. The Factory has nil Accident Record since 1997. The company which was started as single product company in the year 1992 is now manufacturing more than 24 products in the range of Grignard Reagents, which were all developed in-house. The company remained focused on its approach till it developed almost entire range of Grignard Reagents. The company is proud for its Nil Rejection record and Nil Accident record since the inception of the company. The company has successfully completed few custom synthesis assignments on kilogram scale. The present multipurpose plant is capable of undertaking manufacturing activities of various reactions. The company caters to 72 industries within the country. Small export to an Italian customer put the company in the list of exporters in year 2004.Grignard Reagents are used as "building blocks" in various areas of chemistry. This is a very vast field by itself and is 102 years old, pioneered by Prof. Barbier and Prof. Victor Grignard. Since then Grignard Chemistry has dramatically changed the theory and practice of chemistry and the understanding of bonding and reaction mechanisms. Azeocryst Organic Pvt. Ltd. is a small seed compared to "The Chemistry" which is more than a century old. Azeocryst Organics is the only Manufactures of entire region Grignard Reagents in India. Azeocryst Organic Pvt. Ltd. has helped many manufacturers with the supply of Grignard Reagents, thus fulfiling the need of bulk drug industry. Azeocryst Organic Pvt. Ltd. aim is to contribute to help others in the final betterment of life on earth.